We closely monitor our custom﻿er satisfaction to ensure our ﻿products and services are of the highest quality possible. Here's some recent feedback we've received from satisfied RKM customers. Please tell us about your experience via our contact form. "As a completely new person to home automation I called RKM Smart Home and spoke to Ralf. Even though I was not yet a customer he provided a huge amount of help and guidance in my home automation journey. Initially I made a decision on a product that didn't suit my now future needs, and the support and help that I received from RKM with this was outstanding. Every time I've had a question or needed help I received responses really quickly and very detailed and clear help and this level of customer service is hard to find in other places. Really big thankyou to Ralf, James and the team on amazing support, guidance and quality products and highly recommend RKM to anyone who is looking into home and building automation."  "Being relatively new to the Z-Wave environment I have found dealing with RKM Smart Home a pleasure. I have found their customer service to be terrific and any questions that I have had both in regards to sales and support have been promptly responded to in a courteous and professional manner. Delivery of product has been prompt and I have found their pricing to be on par or better than other suppliers. Highly recommend RKM Smart Home as a home automation product supplier and I will be continuing to use them in the future." "As a result of taking over occupancy of my house which had been tenanted for many years, I recently contacted RKM Smart Home on the recommendation of a business associate. From the outset my experience was very positive. Timeliness of response to questions and completeness of the answers was well above average – even when sometimes my questions were pretty basic. Unfortunately after taking delivery of a system I came to realise that it was not appropriate to my needs. At that point you might expect the supplier to be less accommodating. This was not the case and RKM’s representative was very understanding and willing to work with me to reach a mutually satisfactory arrangement. I would highly recommend RKM Smart Home for those interested in self-installing a sophisticated and cost effective home alarm system." "Getting into home automation was something my wife and I had talked about for ages but didn't know where to start. RKM Smart Home made the whole thing easy for us to understand. Thank you RKM Smart Home for all your advice and support." "The tireless support we received from RKM Smart Home was superb. Pretty much unheard of these days - especially from an online company. We'll be back!" "I really appreciated your help and advice and will order more later on from you for sure... We all must make money in business but what I appreciated the most was the prompt and detailed answers (to my questions) over so many emails... I could have gone and shopped around but after you kept answering, I didn't even need to look for a better price." I have been really impressed with the fantastic service from RKM. I had to return an item as i bought it in error and had my refund within a few hours of them receiving it. Now that's customer service! "Thanks for your quick response and fast delivery!"